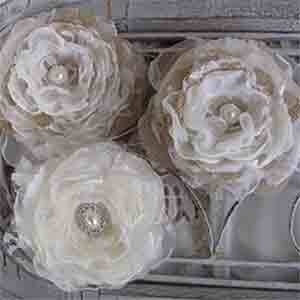 Shabby Burlap Wedding Flowers with Lace, Rhinestone, and Pearl Center. 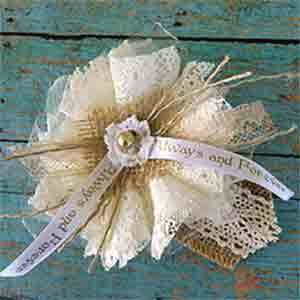 Two sizes: 6-8″ or 10″ (price is for smaller size). 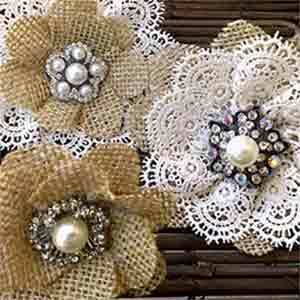 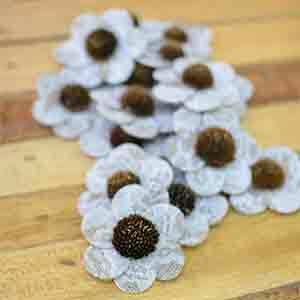 Three Burlap and Lace Cake Topper Flowers with Rhinestone and Pearl Centers (each about 5″-5.5″ across). 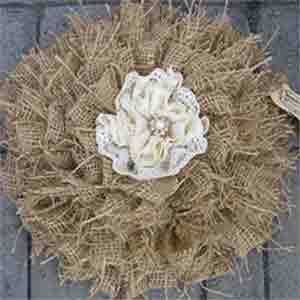 Unique Elegant White Burlap and Lace Flower. 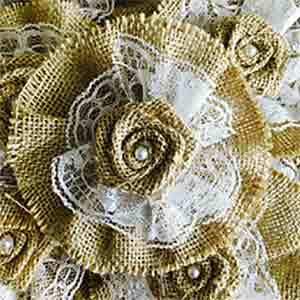 11cm (about 4 and one-third inches) across. 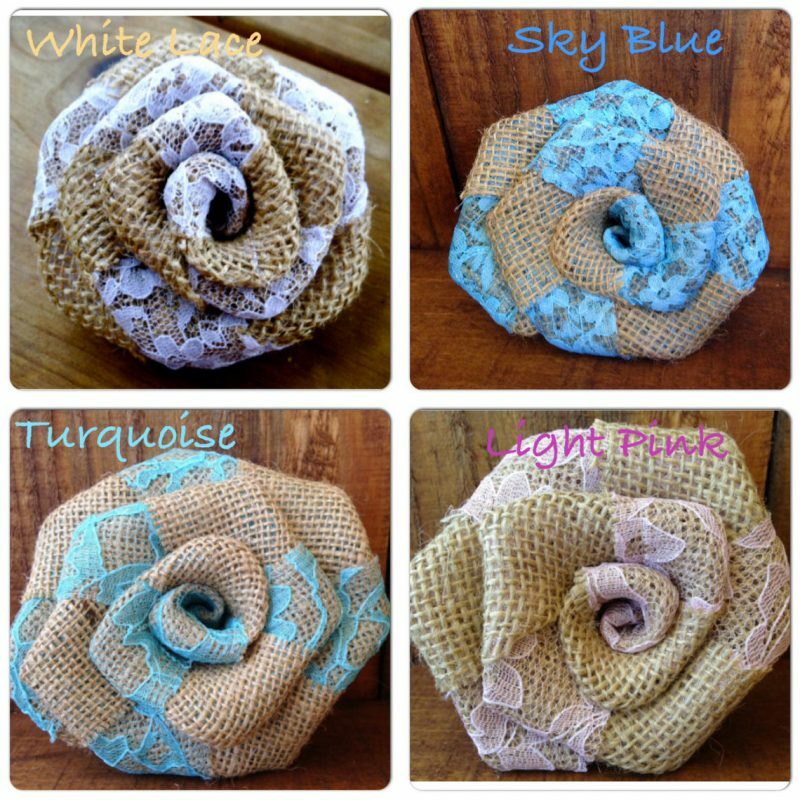 100 Shabby Chic Burlap and Lace Roses (each about 12cm / 4.7″ across). 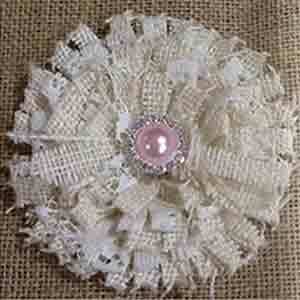 Other Quantities Available.